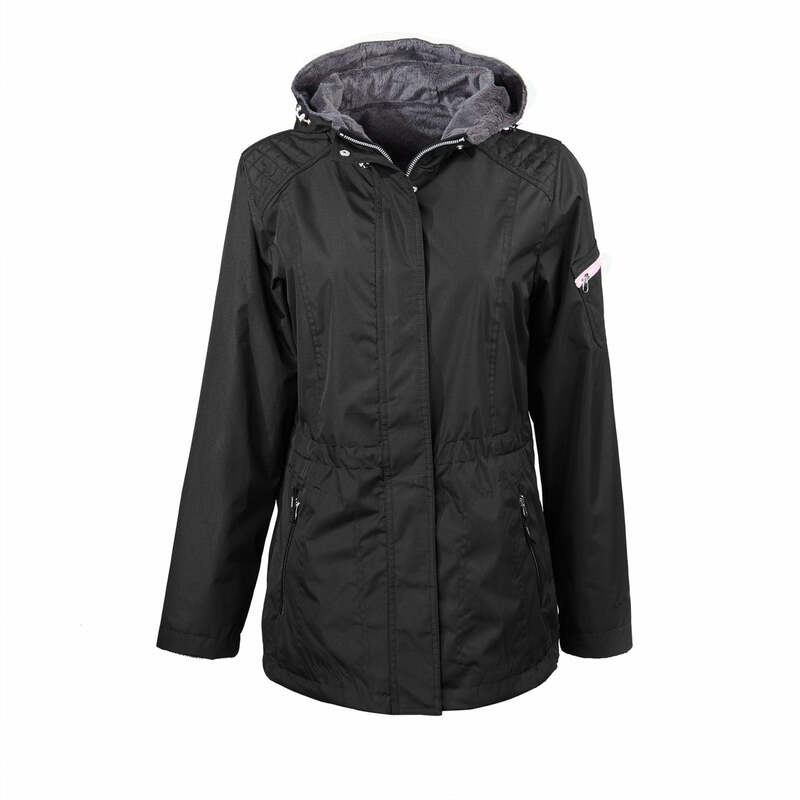 Perfect for all-year wear, get two jackets in one with this reversible anorak jacket! It's designed with a wind and water-resistant 100% woven polyester "Radiance" shell on one side and plush "Butter Pile" (faux fur) fleece lining on the other. It's styled with 100% polyester fabric; an adjustable draw-cord on the waist and attached hood; a zip front and a hidden snap placket; three external zipper pockets, including a chest pocket and a zippered pocket left sleeve pocket; diamond quilting; and metallic snaps. Machine wash cold. Color(s) available at the Boeing Store: Dark Gray/Black. Center back length 28-½", Size S. Imported.